It is really starting to feel like fall here in Houston and I can't stop thinking about wearing my sweaters & flannel plaid tops. Actually, now that I think about it...getting out my warmer clothes is on my list of things to do this weekend. It seems like all Fall, print patterns have been calling my name. I have enough leopard & cheetah, but I have been on the hunt for the perfect buffalo plaid shirt that isn't sold out in my size! I have been so disappointed lately at my misfortune and the mere thought of me going through this season without a buffalo plaid shirt is really disheartening...Help! I might have to settle on this jacket. 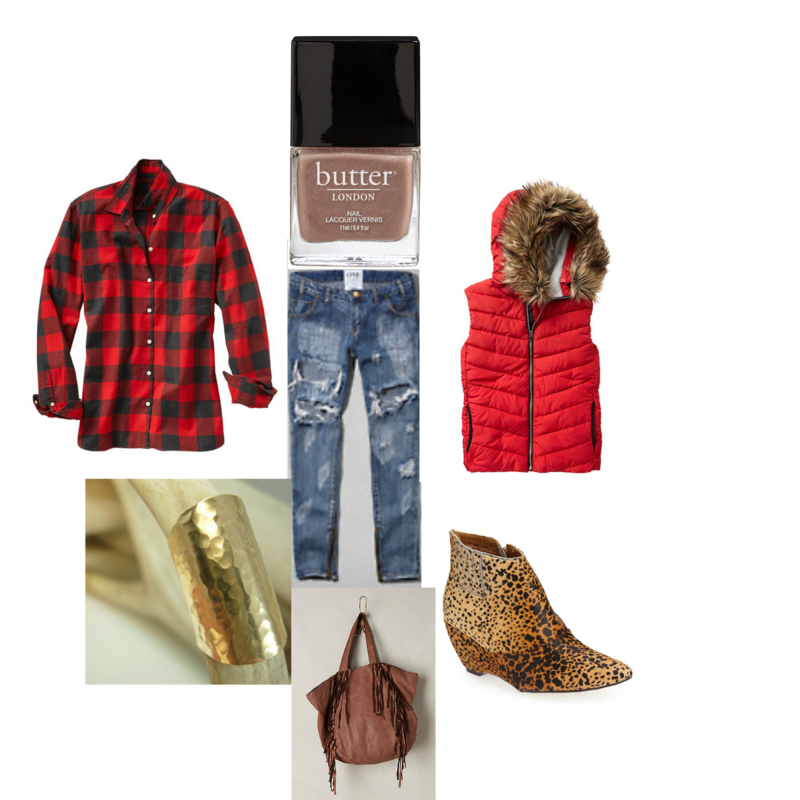 What is your favorite buffalo plaid right now? Love your selections! Can't go wrong with Butter and those shoes are so pretty :) Have a great weekend! I can't wait for the Fall either! Getting my boots out, yeay! Thanks ladies and Tracey let me know if you find one I would like! Oh my gosh! I love all these picks. These jeans are amazing!